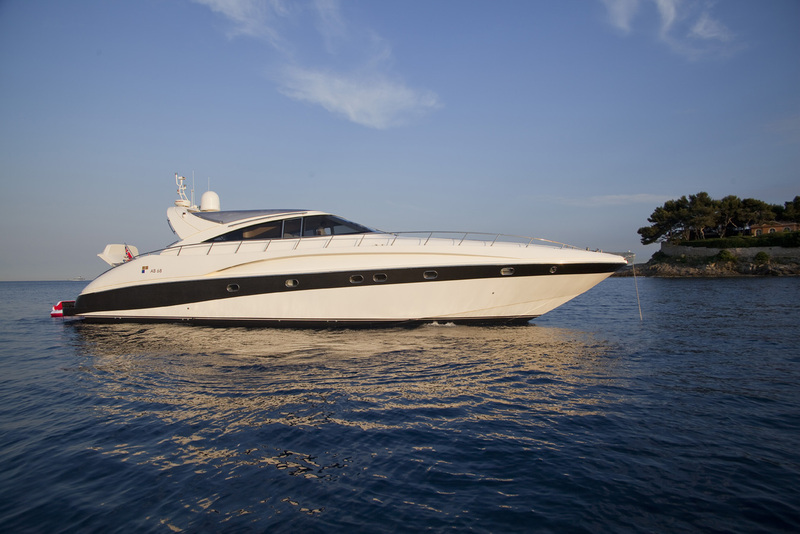 Motor yacht KOKAB was delivered by the Italian shipyard AB Yachts in 2003 and refitted in 2012. 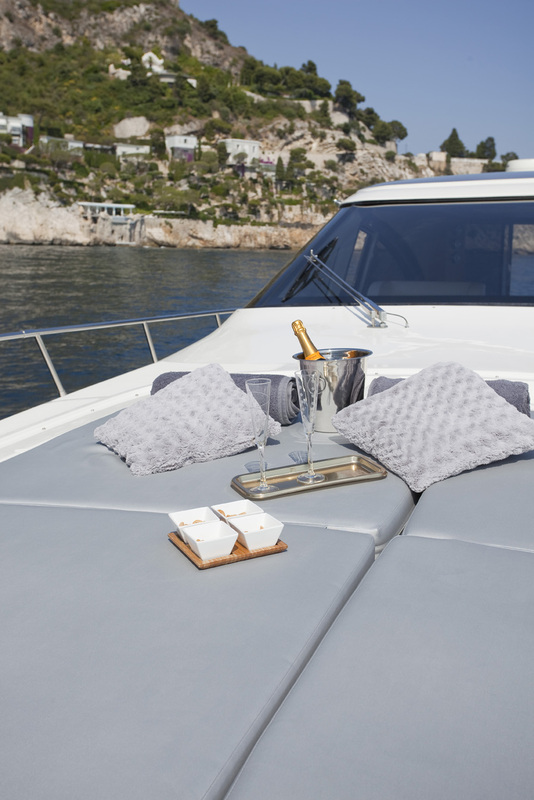 The yacht’s sleek stylish design measures 20.6m (67.7ft) and offers deluxe crewed yacht charters in the West Mediterranean, for up to 6 charter guests. 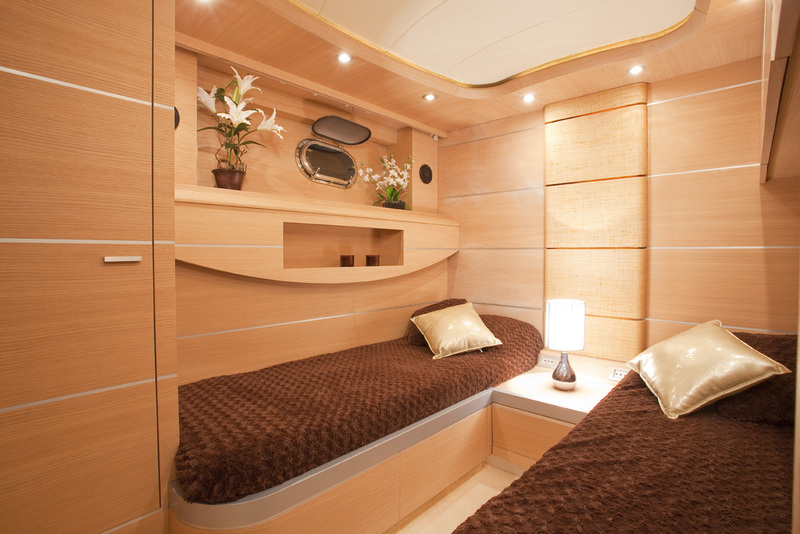 M/Y KOKAB has an airy modern interior featuring light oak panels and fine leather soft furnishings. 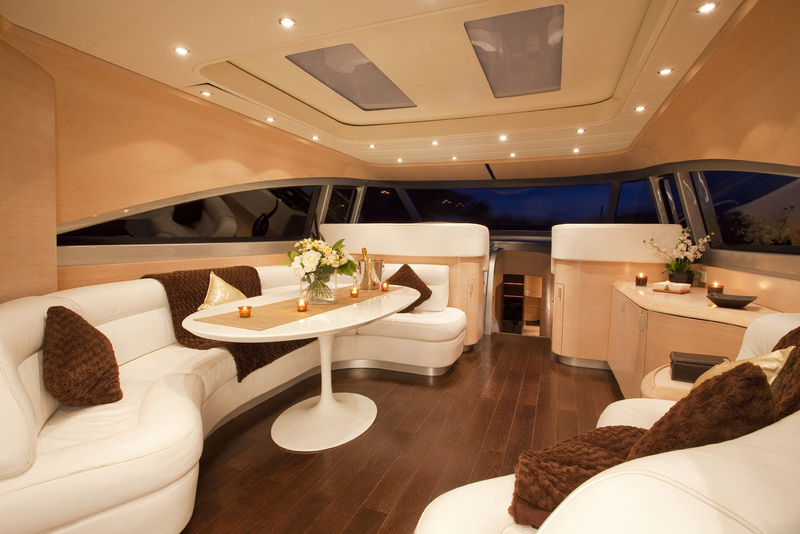 The upper salon boasts a comfortable sofa, coffee table and formal dining area. Elongated windows infuse the upper salon with ample natural light, while providing scenic vistas. A lower salon offers a large sofa, coffee table and full theatre entertainment. 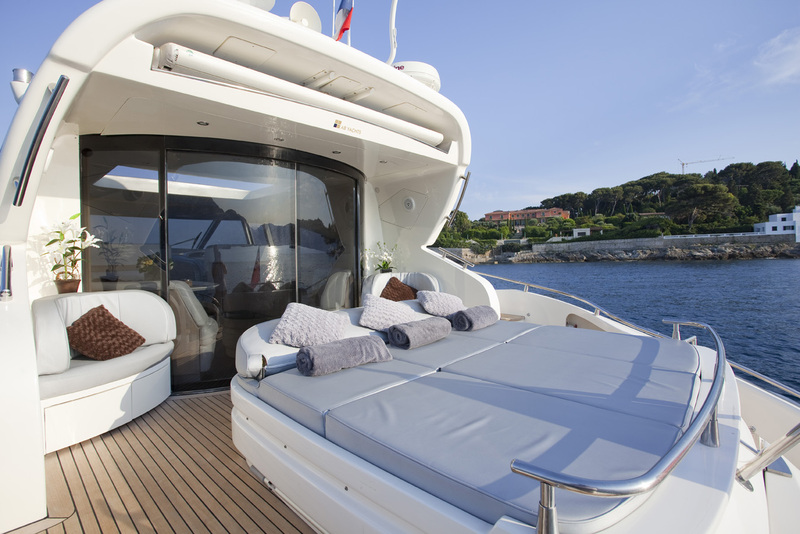 Charter yacht KOKAB offers plenty of exterior living. 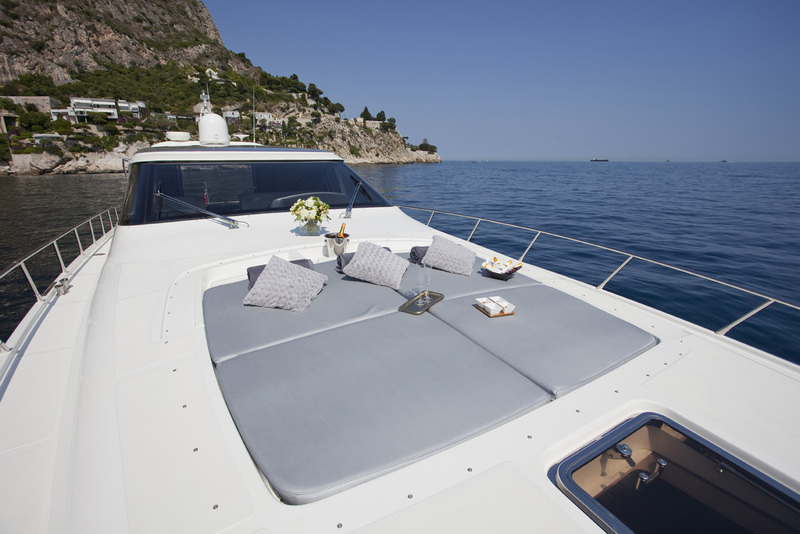 The aft deck boasts a massive sunpad and seating area, a retractable Bimini cover is available for optimum comfort. 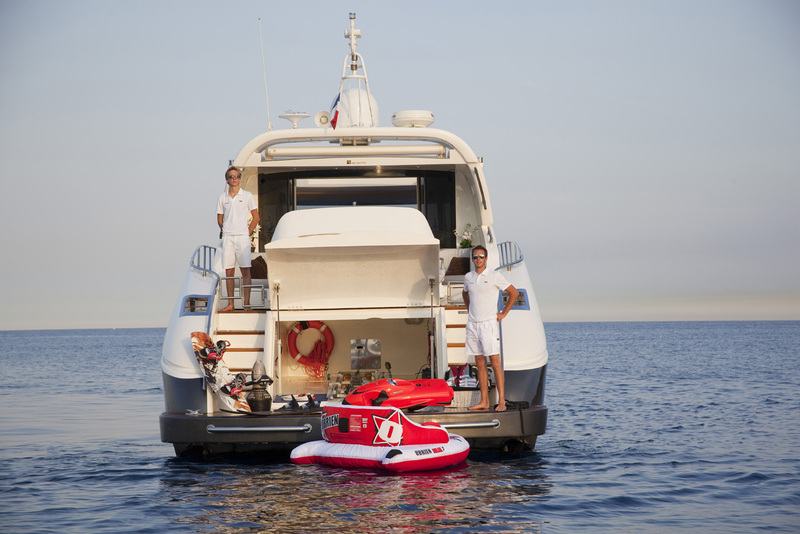 Water enthusiasts will be pleased to find a good selection of water toys is housed in the aft garage, while the extended swim platform ensures guests can make effortless use of them. 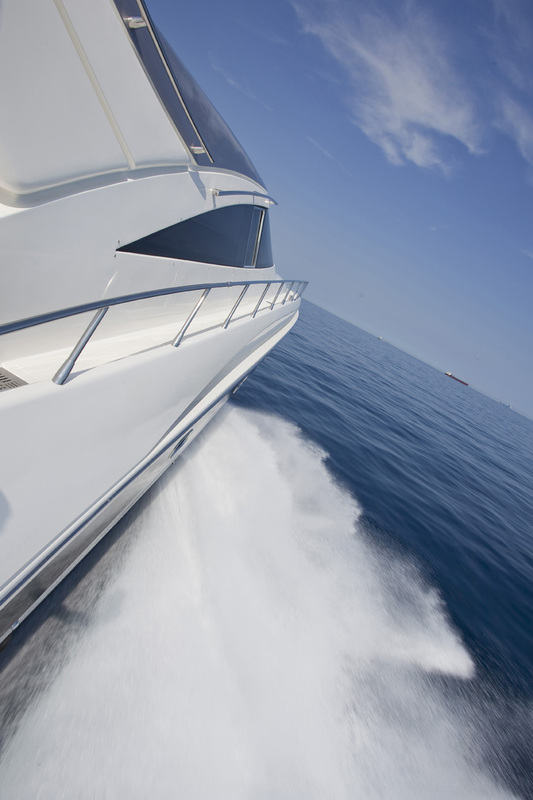 Wrap around decks aboard the motor yacht KOKAB lead forward, to a further large sunpad. 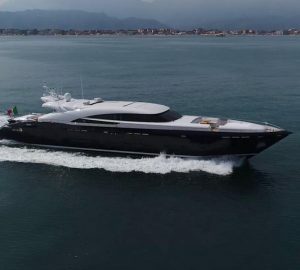 The yacht KOKAB is powered by 2 MAN 1550hp engines, she boasts a planing hull, shallow 1,2m (3,9ft) draft and exhilarating speeds from 34 – 40 knots. 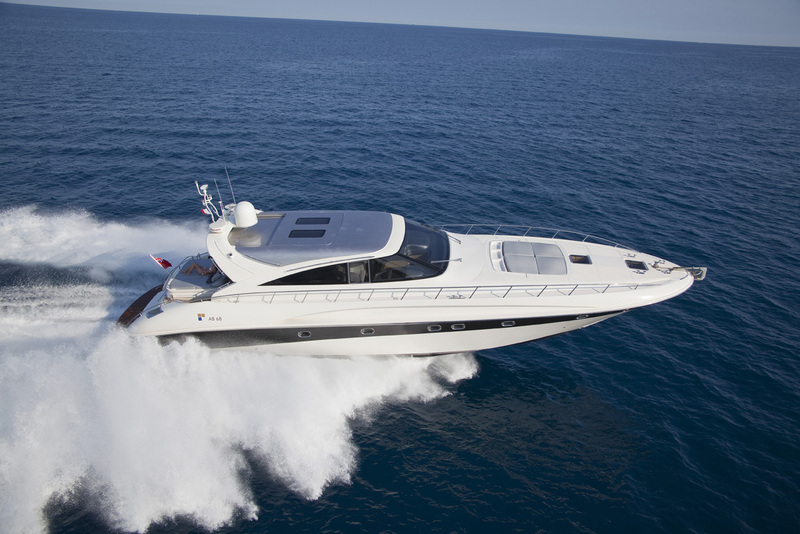 KOKAB is the ideal choice for all, with her lovely elegant interior and great amenities, to the fabulous exterior spaces and water toys, to her vivacious speeds and head turning characteristics. 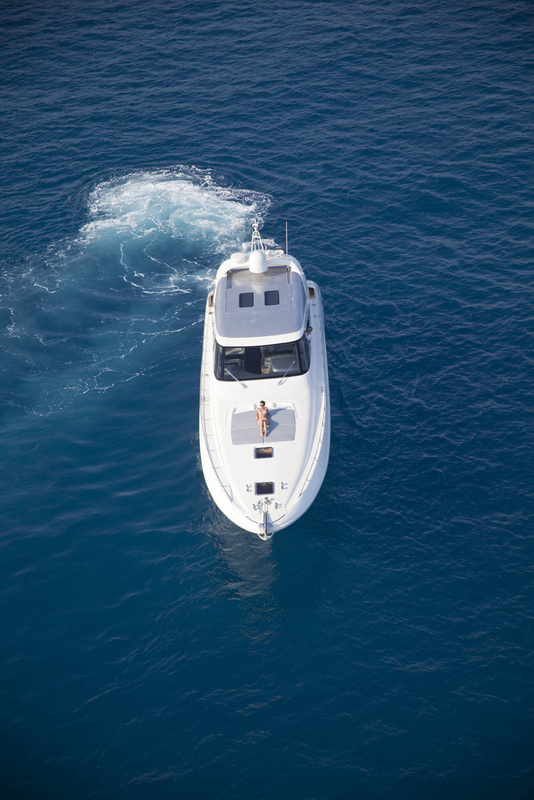 The KOKAB motor yacht can accommodate 6 charter guests in 3 well-appointed en-suite cabins. 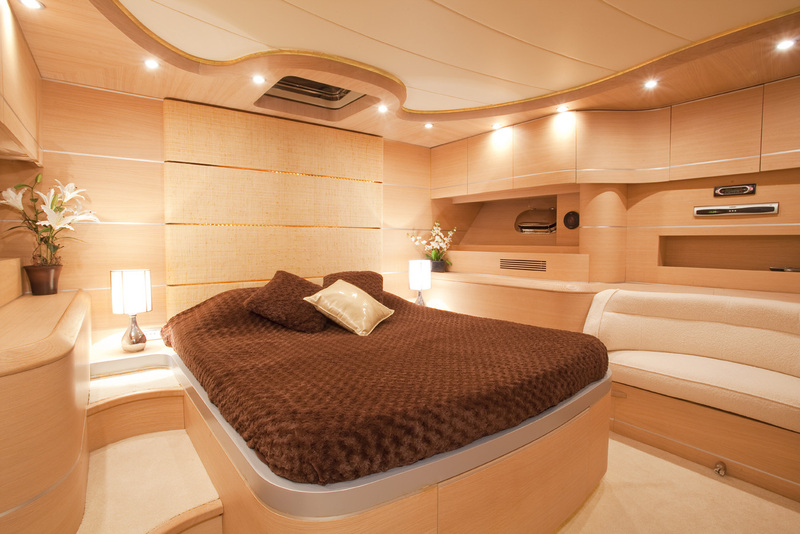 The master stateroom is full beam of the yacht forward, with a center lined queen size bed. 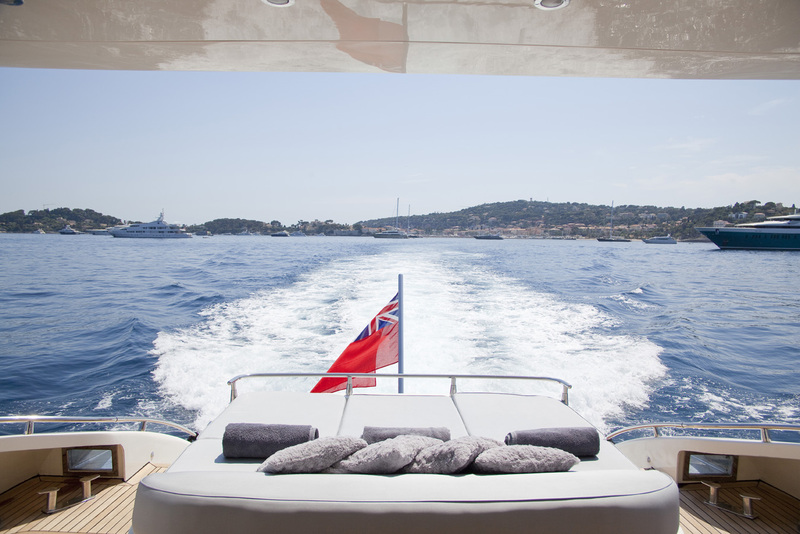 A guest double is aft on the starboard side and a further guest cabins offers 2 single side by side beds, plus a Pullman berth.